That stinks. Maybe we will get dog Sirius in a CMF as an accessory for Harry? Beautiful video ...I like how the car can carry also the dog! Amazing MOC! I think we’re getting the visitor center with fossils, the gates, a Jeep or two, and a young Dilophosaurus. I truly have no idea how pricing works, I mean I understand how a T. rex drives up prices but at this point I thought it’d be easy to include just one raptor. I have a feeling Alan will be reused. Muldoon had a way bigger role than Ray so I think he’s likely along with survivor Ellie, or they could put them both in rain coats like Nedry. Gennaro wears a coat and hat that he takes off on the tour, so I could see them including him in that variant. I’d even bet Wu will show up. Nice one! Really funny but that blue cannon carriage is a travesty! . Bring back the red one!!! Hehehe! Happy Easter guys! I do not want to determine it but i read many months ago that TLG knew this problem and promised that the new sets with reddish brown pieces will not be that fragile when they get old. I think it was a transition stage so there is no real 'date' were you can say until now the bricks are OK. But I think up to 2017/18. Maybe earlier maybe later. Who knows. Maybe someone here knows more. I have an idea that the reason of the fragility is coming from the brown dye they use. Every dye is powder which will be mixed with the fluid plastic. The powder makes the plastic more brittle and when after years all plasticizer evaporated the plastic starts to break. Every colour is made from a different molekule(-complex) so there are different chemical and physikal effects. 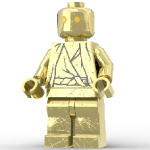 But as long as we don't know anything about the dye Lego is using (for RBrown) everything is pure speculation. Thanks for the tip drunknok! See? No horse sausages! Wow man!!! I just love it!! You really nail your lightning in the pics!! Great work mate!!! Shore of Alexport, Prio Island, nowadays... Dr Thaum : This time I think I'm done with the adjustments... let's have a look... It's pointing north east. : Gosh, let's see the map !! : Mmmmmmh, I'm pretty sure this is Gunpowder island... this spyglass has a really terrific magnification, the lens of Camillo and Carloni is a masterpiece. Dr Thaum : Callaghan, it seems that something really special and really interesting is going on on Gunpowder Island... Let's fit Groaaar and the Exocet out and ready for departure as soon as possible. : The Exocet and ... Groaaar !!! Nooo ! Not Groaaar please doctor ! The Andromeda is a fast ship ! Dr Thaum : Don't be stupid Callaghan !! Albeit one of the fastest ship of the brick seas, the Andromeda is no match for the Exocet or Groaaar ! Come on ! Quick Callaghan, you pack our things ! I'm waiting for the Arch Duke and we will leave soon after ! Tell Iauln to be ready ! Callaghan : But we are here for the Pilot's Association Racing Cup... Dr Thaum : Everything is OK with the Pilots' Association. Now we must leave ! Callaghan : Okay... Okay ! *** original idea from @Captain Braunsfeld C&C welcome as usual. I love how we'll get the hospital wing with the clocktower, since it's connected to the clocktower in the real model. It's the little things that do it. Are we sure that the Spidey sets are still due to release tomorrow? There’s no mention of them on shop.LEGO.com. This weekend Ballabreek has been hosting its annual Easter Running Festival; a series of runs held over the Easter weekend. With the serious events out of the way, today sees Easter Fun-Run-Sunday and a chance for anyone to get involved. The race is a 2km fancy dress charity fun run beginning and ending at the fire station... here we see the runners preparing to get underway... Untitled by g.nat, on Flickr The entry field includes keen runners who "relish" the challenge... Untitled by g.nat, on Flickr Those who are just getting back into running - and may be feeling a bit "rusty" Untitled by g.nat, on Flickr And the beginners who've never raced before and despite looking cheerful, are "bricking" themselves!! Untitled by g.nat, on Flickr The one thing they all have in common though is the desire to finish with a good "time" Untitled by g.nat, on Flickr The mayor herself is overseeing things and has handed over to the starter (and event sponsor) Mr Bruce Wayne... Untitled by g.nat, on Flickr GO!! Untitled by g.nat, on Flickr A short time later and all the runners are safely back and enjoying the post race festivities. Untitled by g.nat, on Flickr All the runners get a free slice of pizza!! Untitled by g.nat, on Flickr The warm Easter weather is good news for the ice cream seller... Untitled by g.nat, on Flickr But less so for some of the runners... luckily there are medics on hand to help those who've pushed themselves a bit too hard and ended up "lion" down or feeling a bit "puft" (don't worry they were ok!) Untitled by g.nat, on Flickr Untitled by g.nat, on Flickr Of course even a fun race has winners and here we see Mr Wayne with the winner (whose performance was head and shoulders above the rest of the field) and the joint 2nd place runners ... yes it was a "draw" (don't worry I'll stop with the puns now!!) Untitled by g.nat, on Flickr Couple more pics... Untitled by g.nat, on Flickr Untitled by g.nat, on Flickr This update was inspired by the real life Easter Festival of Running that is held annually where I live. I took part last year but injury put paid to entering this year so I thought my minifigs would benefit from a bit of exercise instead!! The real life event consists of a 4 mile hill run, 10k and 5k races held over 3 days... I added the fancy dress element to use up a few of the more unusual minifigs!! Anyway, thanks for looking... comment are always welcome!! Yea everyone thinks they’ll be tiny rooms but they need to remember the Great Hall was the same price and this has more pieces than that, not to mention the great hall had 4-5ish rooms that were a good size and I doubt any room will be as large as the main eating area in the great hall. So it’s easy to assume they’ll be finely sized. I like it! It reminds me of Megatron from generation 1. At this point, I wouldn’t rule anything out. As far as I know, while there have been rumours from reliable sources, there have been no official announcements yet. Just a handful of leaks. The existence of Hammond, Nedry, Arnold and an alternative Malcolm gives us some clue as to what choices may have been made. It seems like this set will have a bunch of iconic stuff. With the earlier JP set taken into account, that’s pretty much all of the important characters. As a big fan, I’m missing Muldoon and Gennaro, but I’m not sure they’d be top of mind for more casual JP fans. In terms of iconic status, the Visitor Centre, the gate, a Jeep and a Tour Car are up there when it comes to buildable things. Arguably the Raptor Penn, too. Maaaybe the Hatchery. So it’d be fairly safe to assume two or three of these make the final cut, possibly in quite simple versions. As for the animals... The T-Rex and the Raptor are the dinosaurs most casual fans would probably mention right away. Therefor, I believe the chance of those two being included might be quite high. Because of Nedry’s appearance, I’d say a third addition could be the Dilophosaurus. What’s stopping LEGO from including whatever dinosaur? Surely, at this point, they have used the molds so each of these three has been released several times. Do we know for a fact that they are still so costly to produce? My bet (based on no inside Information whatsoever, purely personal speculation) is we’ve seen all the figs now, the set will most likely onclude the three dino’s I mentioned and the builds should then be the Jeep, the Tour Car and rudimentary versions of the Visitor Centre and the gate. My track record in these kinds of guessed? I was dead wrong in predicting Disney Minifigure Series 2’s contents, but the first (I think?) to speculatie the Disney D2C might be a train. Whatever happens, I’m stoked that we’re getting a JP D2C, as it’s my favourite film of all time. I hope the set will bring everyone what they’re wishing it to be.